Good morning, RVA! It's 67 °F, and today we’ve got highs in the 90s, some winds, and maybe a chance for some rain here or there. The forecast for the next couple of days looks pretty wet, so if you need to spend some time outside, do it today! City Council met last night and passed the FY2019–2020 biennial budget, and with the Mayor’s approval, thus ends the 2018 budget season. Highlights of this year’s budget include: $150 million via the new meals tax to pay for school construction, new afterschool programs, extended hours at some Parks & Rec facilities, a $1,000,000 contribution to the affordable housing trust fund, paid maternity leave for City employees, and pay increases for City employees. Lowlights include: No new revenue from a cigarette tax, the decision to rebate credit card processing fees on the entirety of the meals tax at the cost of $1.4 million annually, stealing $3 million from the Percent for Arts fund, no dedicated funding for Vision Zero work, and whatever all those embarrassing shenanigans were over CIP amendments. Now everyone can take a hot second to catch their breath before they start lobbying in the fall for whatever changes they’d like to see pass during next year’s budget season. It never ends! I keep having discussions about that New York Times report about evictions in Richmond—which is good news for change and a sign of good journalism. One of the things I wondered about the original report was if Virginia’s weird/unique independent city situation artificially inflated rankings of eviction rate per 100 households. Turns out, no! Over in the Good Morning, RVA slack (available to any and all patrons! ), a patron put together this chart for the Richmond + Chesterfield + Henrico region. 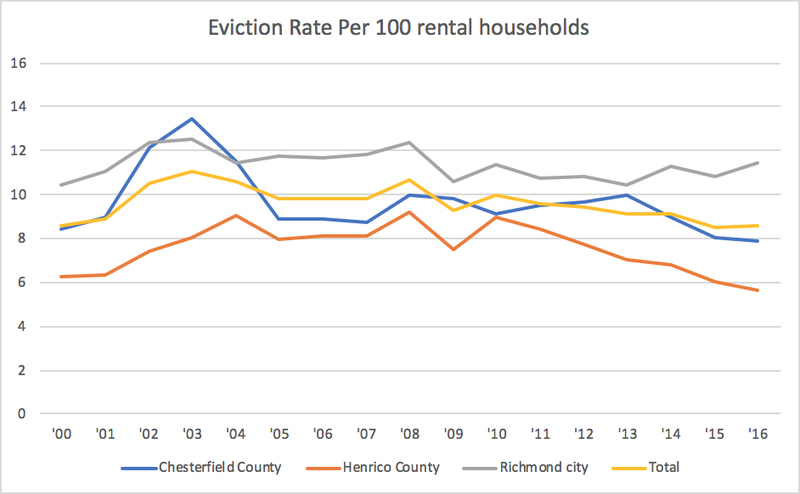 Taken as a whole, the three jurisdiction still post a rate above eight evictions per 100 rental households, which, while lower than RVA’s 11.4%, is still good for a top-10 ranking. As we’ve talked about before, housing is super dang complex, and there’s a lot going on all over the region, but I’m now doubly glad folks are looking into a state-level policy fix. As predicted, Superintendent Kamras updated us all on how he fared with his 100-day plan: “When I began my tenure as Superintendent, I released a 100-Day Plan focused on three themes: engagement, equity, and excellence. For each of those themes, I made 10 commitments to the RPS community. I'm glad to report that, as of today, I have fulfilled all 30 of those commitments. Accomplishing this was a team effort. I'm grateful to everyone who played a part in helping bring these commitments to life.” You can download the full 100-day plan to see what he’s been up to for the last three months (PDF). Ned Oliver at the Richmond Times-Dispatch has an update on the proposed Borg Cube Apartments over on the 800 block of W. Cary Street. Tearing down real old buildings before the City has approved a Plan of Development is a surefire way to get folks riled up. Richmond BizSense’s Mike Platania says the Farm Fresh on E. Main Street will live to sell another day. Someone should put together a GRTC Pulse grocery store crawl after the it opens on June 24th. Along the line, from west to east, we’ve got: Kroger, Lidl, Whole Foods (pending), Kroger, and Farm Fresh...did I forget anything? Squirrels picked up a 7-3 win over Altoona and continue the series tonight at 6:00 PM. Nats and the Yankees get down to biz tonight at 7:05 PM. Caps and the Lightning face off in game three of the Eastern Conference Finals tonight at 8:00 PM. Washington leads the series 2-0. I am looking forward to reading pretty much everything Brian Broome writes in the future. 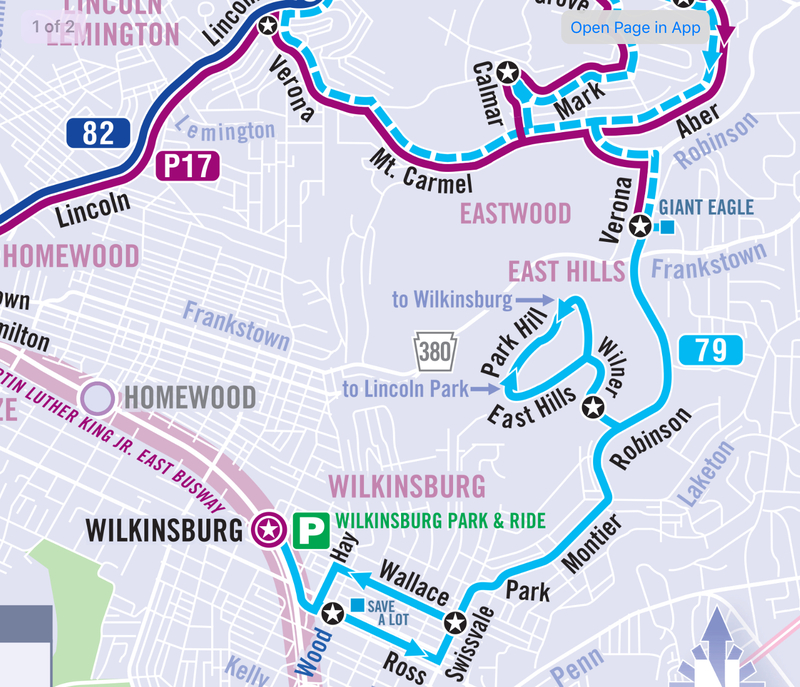 Oh, also, it helps to have a map of East Hills pulled up as you read this, and here’s a map of the #79 if you need it. Their voices have indistinguishably joined the rattle of the engine of the bus to create a cacophony inside my head as we roll through yesterday’s crime scene. People from other neighborhoods look to us up here and believe that we somehow deserve to be here. Our bad decisions are what led us to this place. But if everyone made the right decisions all the time, there would be no one for everyone else to look down on, and it is in this way that America works. We live here so that others can convince themselves that the worst of human instincts reside here and here only. They can convince themselves that something like that would never happen where they live. They can convince themselves that there has never been a drunk in dire need of mental health care in their neighborhood. They can convince themselves that, in their neighborhood, a lovers’ quarrel has never led to ridiculous behavior and that people in their part of town never spend beyond their means in order to impress. Their young daughters are virginal and chaste while ours are irresponsible whores. They wonder aloud why our society can’t cast this play in hell and get angels for actors. They feature us on your local news before the blood on the sidewalk even dries. The last stop of the 79 is always Wrath.